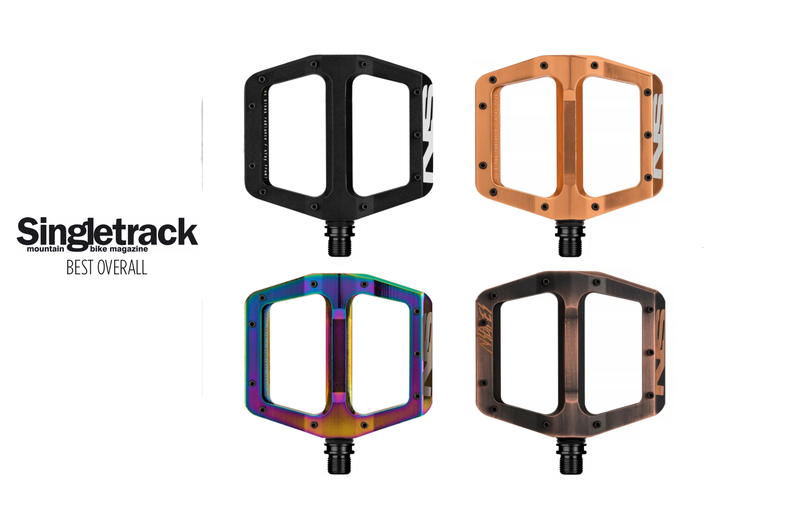 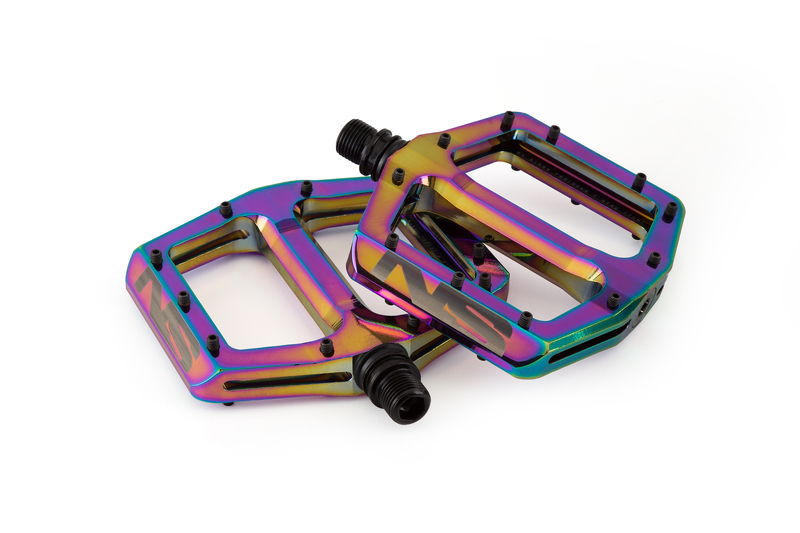 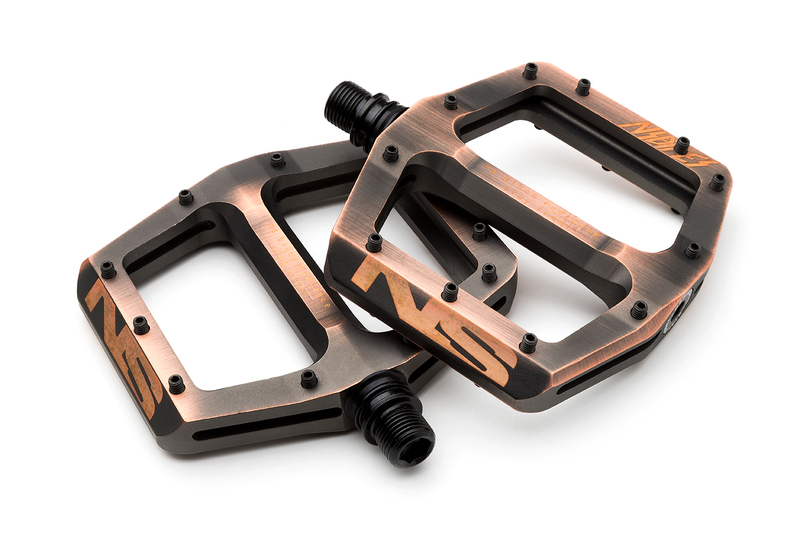 These cool pedals come with a big and low-profile platform that provides tons of grip. 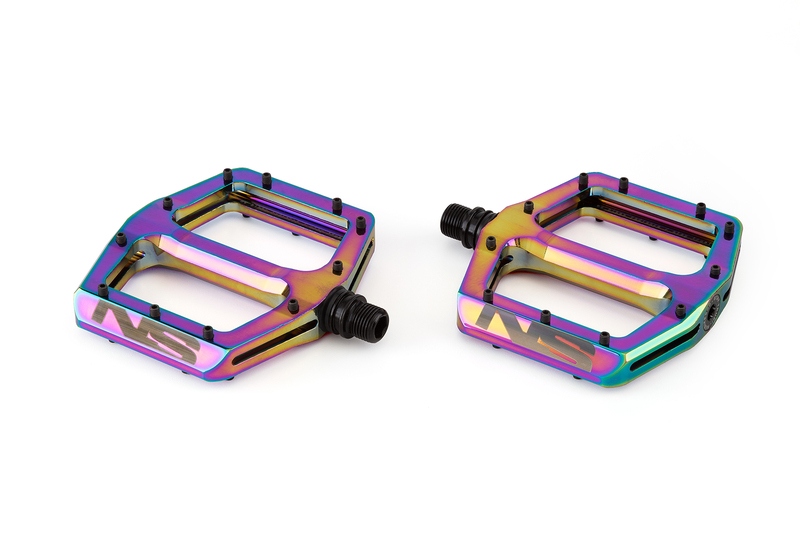 At the same time, the weight still remains below 400 grams. 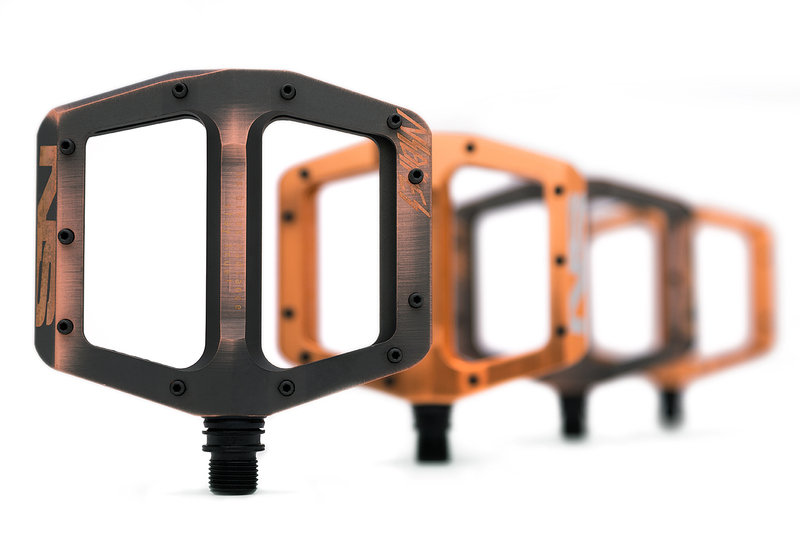 Perfect for any application and - what's important - they offer the same legendary unbeatable strength & reliability as our Aerials which means they will take years of the worst beating. 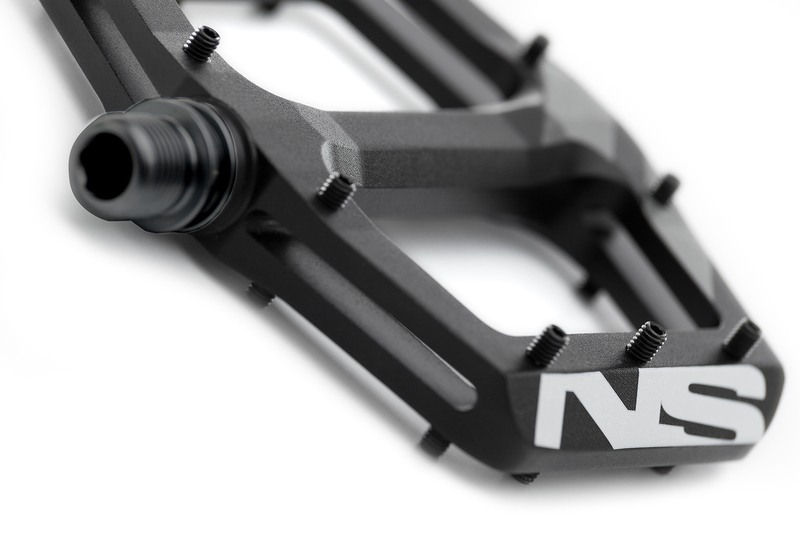 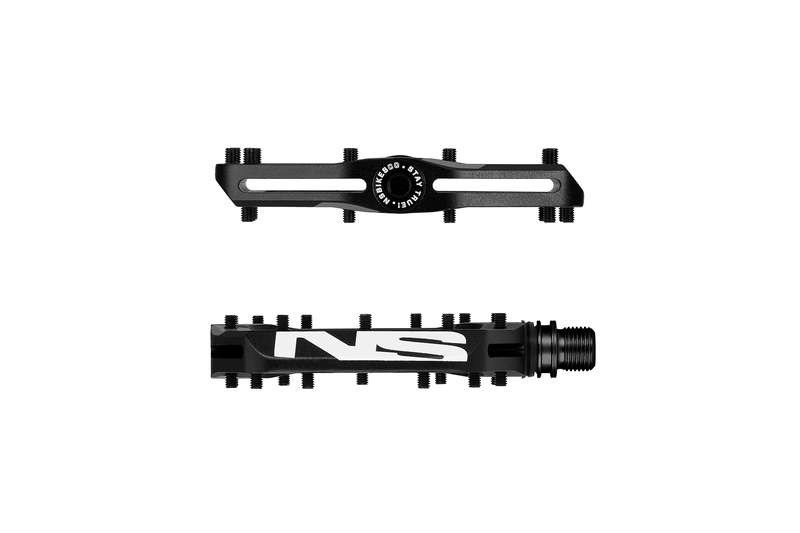 A combination of varied the pin height and special cage shape guarantee good grip in all conditions including wet muddy tracks, yet still allow for relatively easy foot position adjustments when needed. 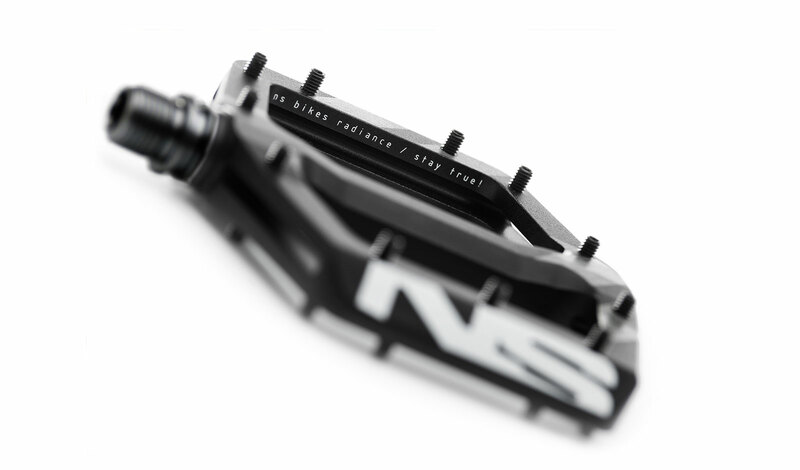 The pedals run on a combination of sealed bearings and bushings. 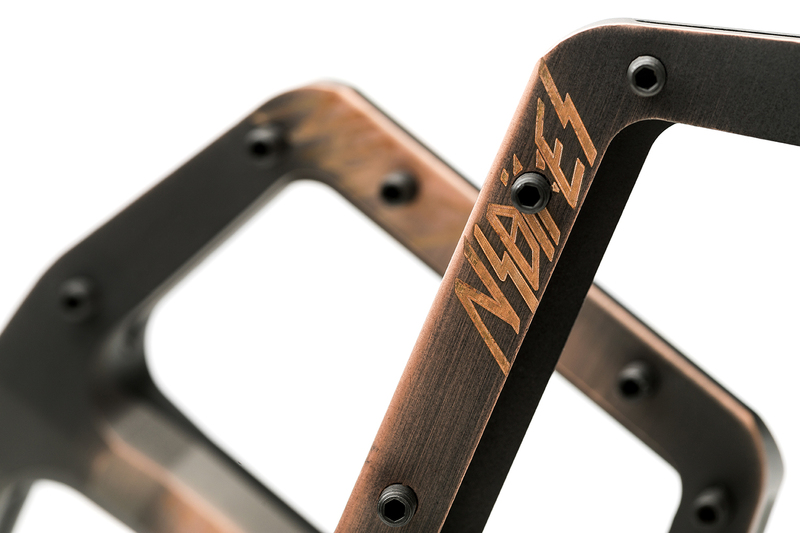 Expect to see them under the feet of some of the best riders in the world. 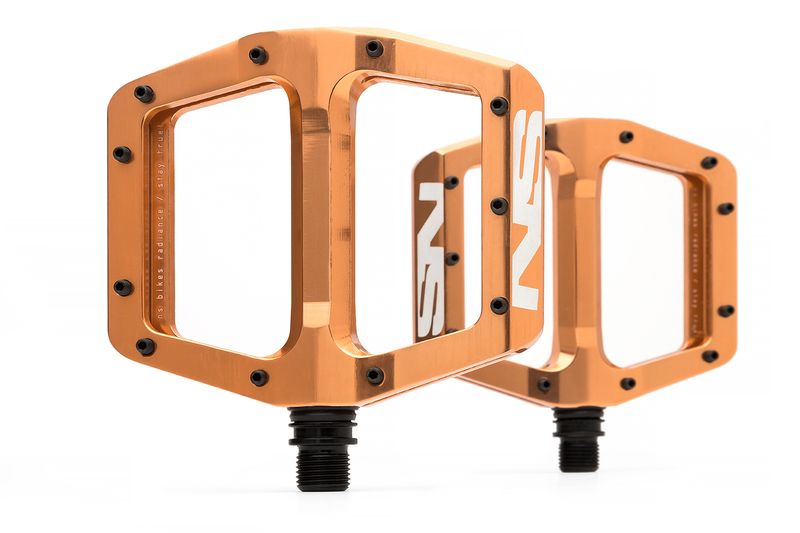 The Radiance were chosen as the “Best overall pedals” out of 17 platform pedals in a group test conducted by Singletrack magazine.